The Perote deer mouse Peromyscus bullatus is a rare species known only from a few specimens. It is endemic to the plains surrounding the Oriental Basin in the states of Veracruz and Puebla, Mexico, in the area where the Sierra Madre Oriental and the eastern end of the Transverse Volcanic Range merge. In past studies, a small area within the basin provided the only known habitat. During two recent surveys adjacent to this area, in habitats that matched the area in the state of Puebla where P. bullatus was previously found, we made new surveys. This mouse is differentiable from other species of the genus, mainly in the large of the auditory and the size of the ear. 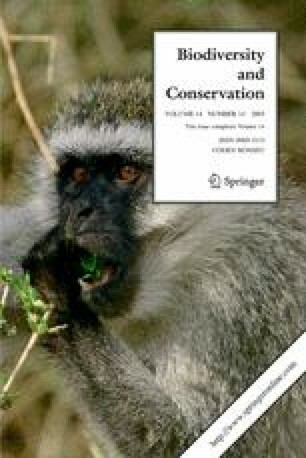 Intrinsic factors are highly discriminating in choice of habitat, low densities, and has restricted distribution, as well as the extrinsic factor of habitat deterioration, indicates a serious conservation problem.